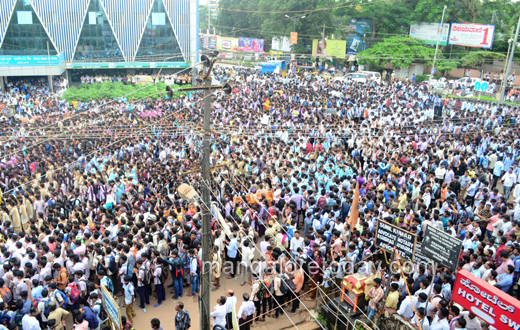 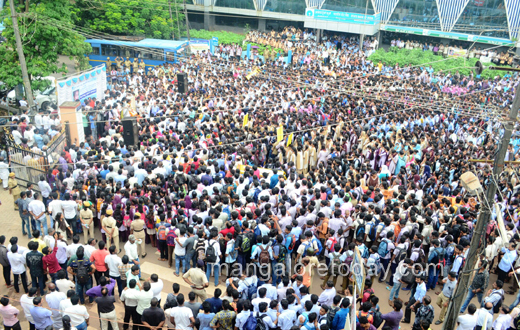 Mangaluru, August 9, 2017: Thousands of people including a large number of students took part in a huge rally organised in the city on August 9, Wednesday demanding a thorough probe into the case of suspicious death of Alva’s student Kavya. 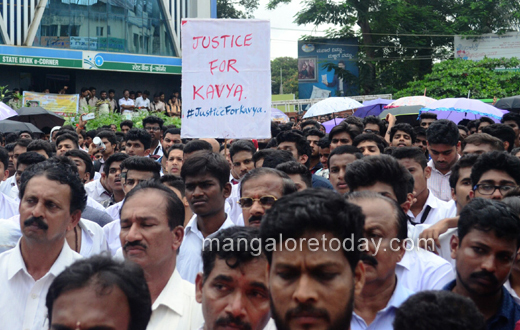 The protest was organised by Justice for Kavya Action Committee. 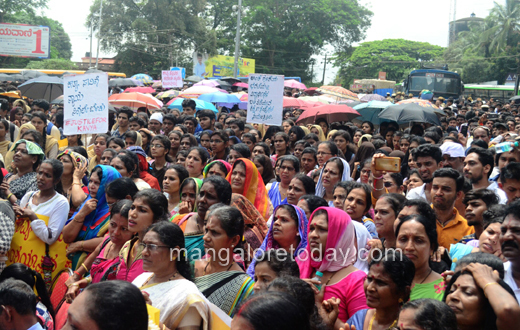 The procession which started from Ambedkar Circle concluded in front of the DC office where a massive protest was held. 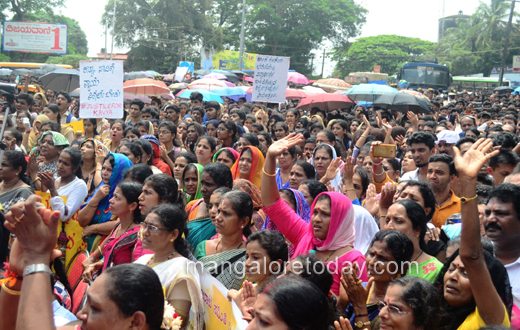 The protestors demanded an impartial probe into the case so that the family of Kavya gets justice. 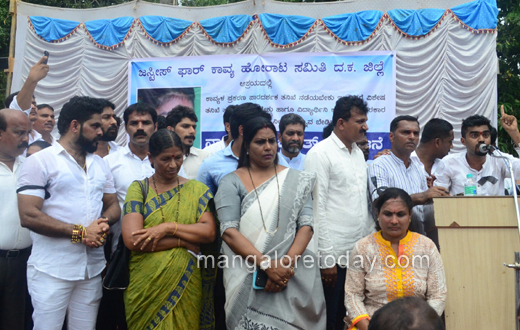 Mayor Kavitha Sanil, Dinaker Shetty president of Justice for Kavya Forum, Anil Das of Karnataka Rakshna Vedike, Naveen Suvarna youth leader, Social activist Robert Rosario, Birver Kudla president Udaya Kumar, CITU leader Sunil Kumar Bajal, Billava Ekikarana Samiti secretary Ravi, SFI district president Nitin Kuttar, DYFI president Santhosh Bajal, Kavya’s parents Lokesh Poojary, Baby and others took part in the protest.